vanilla cake batter smoothie - . running with spoons . Transfer smoothie into a glass and top with whipped cream and sprinkles! * I like to freeze my bananas when they're just starting to sport a few brown spots -- I find they add the best texture and flavour that way. Also, peel and cut your bananas before tossing them into a Ziploc bag into the freezer -- it saves you the hassle of trying to get the peel off when they're frozen. 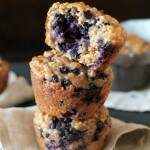 ** You can sub in a few tablespoons of oat flour instead. *** You can sub in another nut butter like cashew or vanilla almond. Looking for more smoothie ideas? Try one of these! … Chocolate or vanilla cake? … Chocolate or vanilla ice cream? « . link love 5/11 . Girl – you had me at “a slice of vanilla cake”!!!! “without the added sugars or oils” is an added bonus! As much as I love chocolate, when it comes to cake or ice cream, I tend to gravitate towards vanilla – but would love chocolate/pb chips in either! As for when it comes to cake or frosting – ooh that would be frosting of the sinful nature! Glad your back lovely lady – sounds like your mama had a wonderful Mothers day weekend hiking! I was just dreaming of a smoothie and this one looks perfect! Mmmm, cake batter is awesome, especially cake batter ice cream. I bet this is quite tasty too! i am a vanilla girl all the way. looks really good! Helllo I know what I’m having for tomorrows mid morning snack. MmMmm!!! I wish I had whip cream though 🙁 I bet it takes the smoothie to the next level, huh? I want the straws!! Loooove them. And this is definitely my kind of smoothie recipe – you know how much I am in love with coconut flour or anything coconut. And I think sprinkles are mandatory!! Oh my goodness…. I’m going to start calling you the smoothie queen! I have still not tried coconut flour in my smoothie. Gotta do that soon. OK, so this is like my favorite topic – cakes and which I prefer. lol . Here’s my deal – chocolate fudge frosting without a doubt is my favorite and love it with a vanilla cake. However, I can never get enough chocolate when it comes to cake so chocolate caked filled and frosted with fudge frosting makes me smile equally as big. Now, when it comes to ice cream, no chocolate. I like vanilla topped off with all of the chocolately fudge and mix-ins. I don’t know, chocolate ice cream just never did it for me. I must admit that this smoothie shake thing looks rather appealing to me even though I never drink these kinds of things. Sometimes, as much as I love chocolate, one does have a craving for straight up vanilla and this shake would do it. 😆 I love you and how passionate you are about your desserts. That is all. Ok, So I love the cake batter smoothie concept. And I need a smoothie everyday. Just about. Mmmm looks awesome! 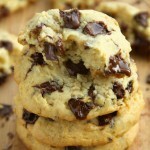 I lean towards chocolate too, but sometimes a creamy vanilla is perfect! I was always afraid of the same thing, but you definitely notice! It’s a lot creamier, and adds a subtle flavour which pairs perfectly with the coconut flour. You can always try it out once and see how you feel about it. Never hurts! P.S. do you ever find that coconut flour makes a smoothie gritty? That happens to me every time I had coconut flour to a smoothie. But see this is why you and I make the perfect pair! I’ll eat the cake and you can have the frosting And I’ve noticed that with coconut flour before, but a lot of it depends on what you pair it with and in what kind of amounts. Too much coconut flour and not enough other stuff will make it gritty, but I find that with enough liquid and banana, that gets kind of hidden. This is amazing!! And don’t worry, I completely understand the cake over frosting, and vanilla over chocolate thing, I have my moments too haha :). And right now is that moment, except I can’t decide on either, I kind of just want a little piece of each hahaha. Yummy! Can you taste the coconut? And this reminds- I keep forgetting to buy more vanilla extract! A little bit. It’s really subtle though, and more of a sweetness than anything else. Okay, now I’m totally craving a smoothie! This looks amazing! You can’t make me choose between chocolate and vanilla! You can’t! I WON’T DO IT! Your smoothie posts always have me wanting to take a break from my fruity smoothies and try something sweet like this. It’s just sooo easy to throw frozen fruit in a blender and I’m so lazy! But there IS a frozen fruit in this one 😛 All you need to do is freeze a banana! You’re kidding me right…putting up pics of this smoothie before anyone has come up with a way to eat/drink through the screen?? 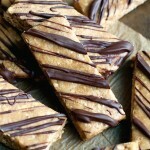 I need to go make this now…well actually I need to go freeze a banana and make this TOMORROW! Vanilla ice cream & frostingless cake…let’s commit blasphemy together ;)! 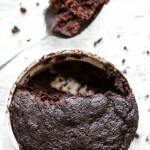 As much as I love (and I mean love) chocolate, I prefer vanilla-based desserts…chocolate-based desserts are almost too overwhelming for my tastebuds! Oh I am a vanilla girl without a doubt, I actually despise chocolate cake :/ ! I have been on vacation for the past two days and I have to admit I really am missing the blender too! 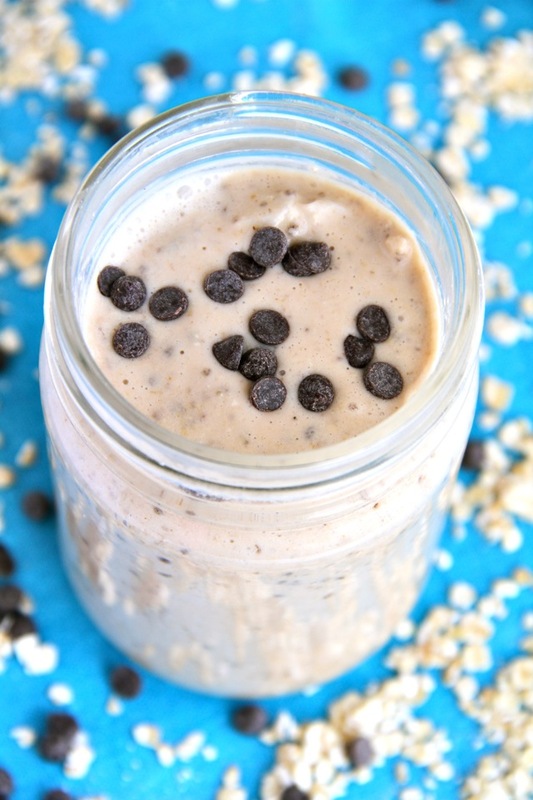 I love your oatmeal cookie smoothie, this one also sounds amazing! The perfect cool summertime dessert. I’m glad you had a good weekend! Enjoying boarding and hiking must be worth a little soreness. 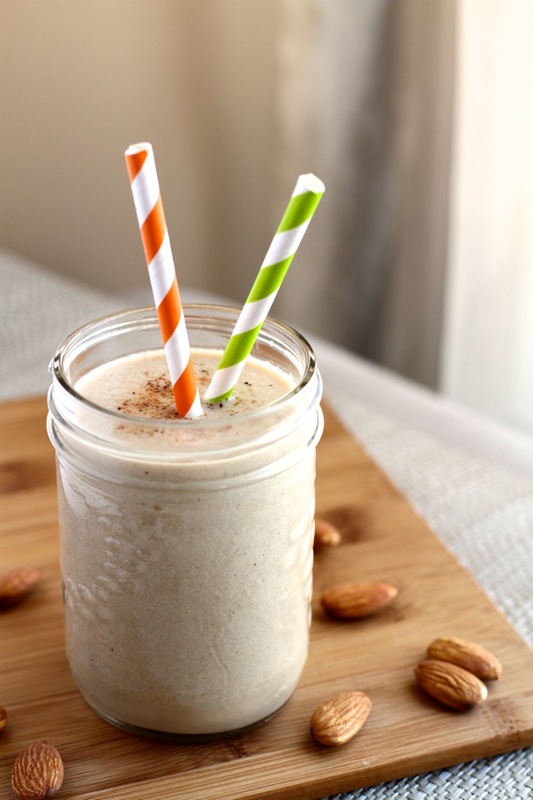 Loving the idea of coconut flour in a smoothie! Must try! yum yum yum! Love cake batter anything and a smooothieee ?! count me in! 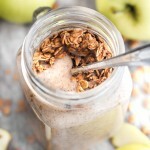 I love all your smoothie recupes and I’ll definitely try this one later today!! Oh and I’m with Lucy, I love the straws!! oh my gosh this looks SOOOO good. I was literally just thinking about vanilla smoothies the other day… I never do them but this sounds so good and coconut-y too!! I might make this for dessert tonight since it’s going to be in the 80s (F, of course). Can’t wait, pinning now! I was forced to live “unconnected” this weekend when the internet died on me for no apparent reason. Other than -maybe- it wanted to get me to take a breather!? Ohmygosh, I thought I was strange for preferring cake to frosting; hence a muffin being my go-to with coffee.. and Mum baking up 2 cakes always – one frosting-less for me and the brother to eat on! I can’t believe amongst all the snowiness you would pine away for a smoothie. That said, with recipes like yours; it shouldn’t be entirely surprising. ahhh nothing better than a vanilla milkshake –except one that is guilt-free! I really need to make it a rule to only read your blog at night when I’m at home and can make your recipes!! YUM! I’m glad you had a great weekend with your mom! It’s so funny how you’ll do a different activity and days later you realize how many muscles you don’t work on a normal basis haha! I totally hear you. Anytime that I am without my Ninja when I go back home or on vacation, I totally feel a litte lost. My day just does not seem quite complete without my daily smoothie 🙁 THIS smoothie sounds wonderful. But that is no surprise since I love cake! 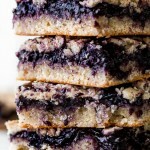 I think your idea to use vanilla almond butter in this would be amaaaazing. Chocolate cake (preferably warm), with an 1/2 inch of white frosting, on top of a scoop of vanilla bean ice cream. BOOM. I think I need to marry Bobby Flay. Too bad he is taken. I need a man that can cook. And bring me pie in bed when mother nature decides to make my life hell. Now that’s living the dream. If you find one and he has a brother, let me know!! I like how you used a frozen banana for your vanilla cake batter smoothie! I love having dessert in a cup. This sounds amazing! When it comes to cake, as long as it’s moist and has really good frosting, then I don’t care whether it’s vanilla or chocolate. I love it all! As for ice cream, I’m totally a vanilla girl. This smoothie sounds yummy! Girl, your photography is out of this world! I’ve never been much of a smoothie person, because I don’t really feel satisfied without the ‘chewing’ factor. But I may have to get in on this train. Come on – vanilla cake batter? 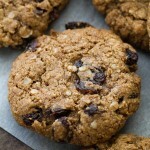 Oatmeal cookie dough? I don’t think I’ll be able to resist much longer. I used to feel the same way about the chewing factor, but I’ve found that as long as it has the right ingredients, a smoothie can be crazy satisfying. Amanda!! I’m dying over here!! Seriously though…I need this smoothie in my mouth like yesterday. I’m crying because I don’t have coconut butter! Coconut flour in a smoothie?! Sign me up gurrrll!! I feel you! Time off is so nice – but I did miss you 🙂 Girl, this smoothie looks out of this world! I am dying to try this now – cake batter is a glass? That is healthy??? Must try. Thanks for sharing! When I saw the first picture, I was almost convinced that this would have dairy or some sort of whey protein…which I can’t have for the next few weeks…but then I read the ingredients!! OH MY OH MY! You did it AGAIN! Always spoiling me with your recipes! P.S. 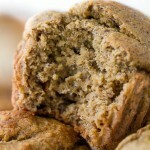 I am making another batch of your Flourless Banana Muffins tonight…the last batch got eaten, too quickly!! Thank you thank you! Ummmm yum. I definitely think coconut butter is magic because it gives nut butter, mug cakes, etc. the flavor of vanilla cake. I don’t know how it happens but I’m not complaining! Now that I have my ninja back I need to make your smoothies ASAP. PS. I emailed you like three weeks ago, and my mail app was acting crazy, so I’m not sure if you got it or not? I just didn’t want you to think I was ignoring you! Cake flavored foods are my favorite (and I guess smoothies too). I like vanilla cake (or red velvet cake) and chocolate frosting. I’ve never been a fan of chocolate ice cream though…in all honesty it’s not as sweet as I want! This sounds delicious!! I need to make it for my mom and I.. She is obsessed with anything cake batter! Sometimes, good ole vanilla is the way to go. Looks SO GOOD. Jealous of your snowboarding and hiking!! While I don’t snowboard, I do love to hike! I’ll have to try this recipe sometime soon; it looks delicious! 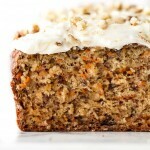 Vanilla cake definitely wins over chocolate (nothing beats carrot, though). I’m the odd person who actually prefers the frosting over the cake. literally EVERYONE I know would choose cake over frosting, which is why I’m always being offered the extra bits that no one wants. I don’t really like chocolate OR vanilla ice cream, to be honest, but if I have to choose, I’d agree on vanilla. Really?! And here I was thinking -I- was the odd person out because of my cake-over-frosting preference. Most people I know prefer the frosting! Chocolate cake! No question about that. I love frosting, but I’m with you on the more cake part! I would much rather not have frosting and just have the cake. And weirdly I prefer vanilla ice cream with chocolate syrup!! Your smoothie recipe is super simple, so maybe if I ever get a vanilla cake craving I’ll make it! Sometimes it’s good to unplug from the world. It’s so easy to get caught up in the virtual world or work even and not enjoy life. I’m glad you had a good time with your Mom! Cherish her! Thank you Megan — I do 🙂 I know how much you’ve been through with your mom over the past little while, and I’m super happy to hear that she’s well on her way to recovery. Vanilla!! Now that’s up my alley 😉 And you’re so right— as much as I like frosting, sometimes there’s just too much of it and I’d rather just go for the cake if it’s really good. This looks AWESOME! The pics too, just gorgeous! Thank you for the Mother’s Day wishes the other day, meant so much to me! Hope you are well, love! Sweet mother of all that is holy! Your photography is unreal. Also that smoothie sounds soo goood!! Cake! 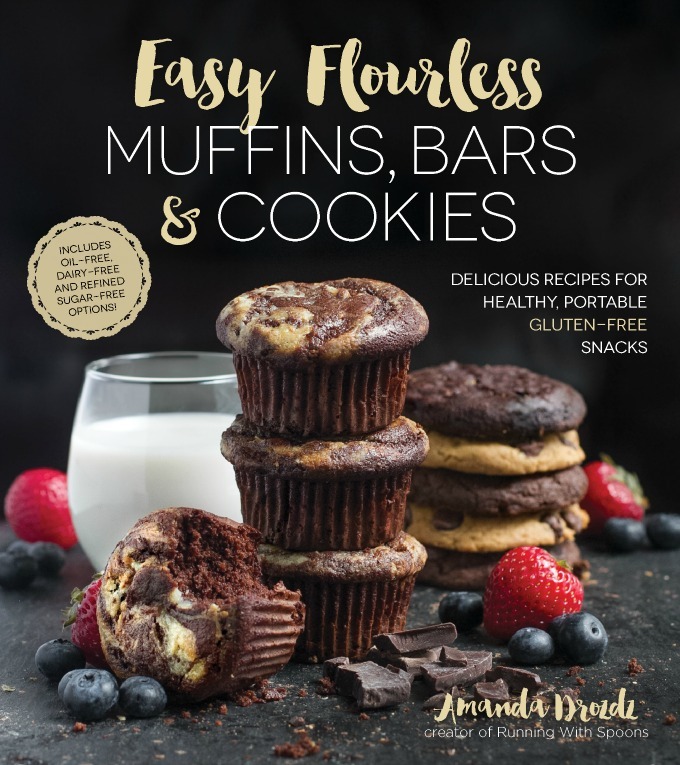 You’re killing it recently with all these delicious recipes! As soon as I wrap this school year up, post grades, send my kiddos on to the next grade, and I”m out for summer, you’d better believe I’m going to make them all! And your photos are so good! Oh yum. This looks so good! I’m the same way about my frosting- I only like a little with my cake. Too much and I have to scrape it off. But in this case, I wouldn’t mind drinking my frosting! I think I just made an inappropriate sounding sigh when I saw this. LOVE!!! Pinning the heck out of it Amanda! 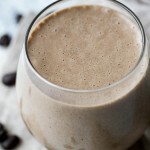 Whenever I make smoothies, they tend to always be chocolate – but I’ve been feeling like something different lately and this looks perfect! I love cake batter anything and I have some coconut flour I need to find a use for. Have you tried butter extract before? It gives things a slight cake batter flavor too! I’ll have to try this out. I haven’t! I actually don’t think I’ve ever come across it, but it sounds amazing so I’ll definitely be keeping my eyes open. mmmm! I LOVE coconut flour in smoothies!! I haven’t commented in a while. I’ll definitely be making this soon. Is it okay if I share via Facebook when I do? Dude, VANILLA ICE CREAM. Plain vanilla ice cream is deep down, my secret favourite ice cream flavour. Cake batter in a smoothie? Ohhhh yes. I think this smoothie is screaming for a scoop of vanilla ice cream in it. Yes? Yes. YES. I just finished an early dinner/linner and was trying to think of a sweet treat to cap off my meal…then I read this! Usually I’m chocolate all the way, but this is calling to me. Done and done! I can’t believe I’ve never thought to put coconut flour in my smoothies! I added some to my green smoothie this morning and it was great. 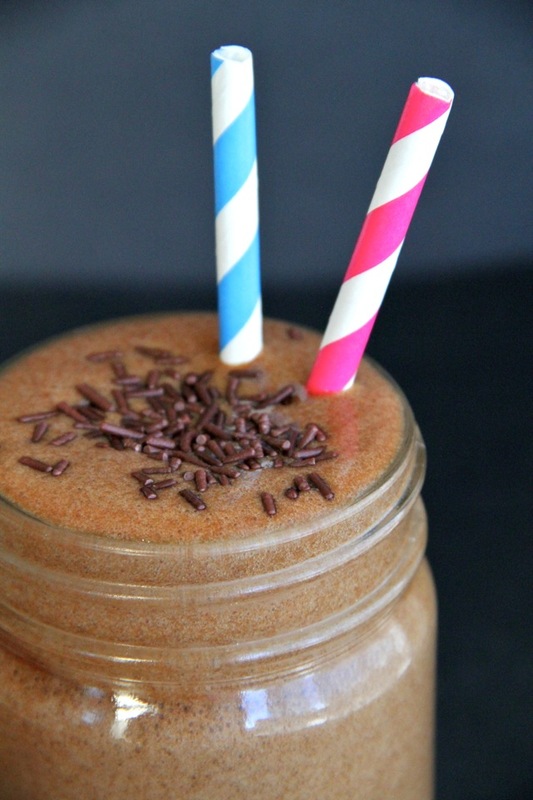 This Cake Batter Smoothie is next on my list! Perfect sweetness happening here, can’t wait to take a sip! Love anything cake batter! 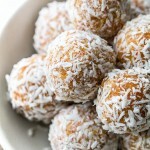 I will now be on the search for coconut butter so I can try this recipe. I have to say, you make some of the best smoothie recipes. =) I’m totally a vanilla over chocolate girl for ice cream. I like my chocolate in bar form. I love all your smoothy recipes. The cake batter one sounds so yummy. I love cake batter icecream so im sure the smoothy would be just as good and even healthier. Although some of the ingredients sound like it may be hard to find. 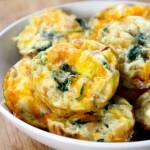 This is an awesome recipe, thank you for sharing! I swear, once I start making your smoothies, I know I am not going to be able to stop! Coconut flour is one of my favorite smoothie ingredients! It always makes it much thicker. I’m going to have to try this, looks amazing! What a delicious smoothie, Amanda!! Just wanted to let you know I’ll be featuring it at tonight’s SNF link party….can’t WAIT to try it! Did I miss something? Where is the recipe? I liked the flavor overall, but the coconut flour made the smoothie gritty. Also, I’ve noticed that having coconut flour in uncooked foods sometimes gives the foods a strange aftertaste, almost like “coconut vomit,” but not quite that bad. If I make this smoothie again, I’ll probably keep the coconut butter but use oats instead of coconut flour.